Along with many others, I'm disturbed by the evil, violence, and injustice that is present in the world. It seems almost to go unchecked, as is there's nothing and no one strong enough to keep it at bay. Years ago, I encountered a "Trinitarian Warfare" model of theodicy articulated by Gregory Boyd. Boyd insists, "While we believers today cannot affirm as literal they mythological portrayals of the cosmic forces that the biblical authors give us, we can and must affirm the reality to which these mythological portrayals point" (God at War, 92). I think that model would also have resonated with the writer of Psalm 82. The psalm begins with God taking the preeminent place in the assembly of gods. It's a courtroom scene in which God brings a charge against the members of the divine council. 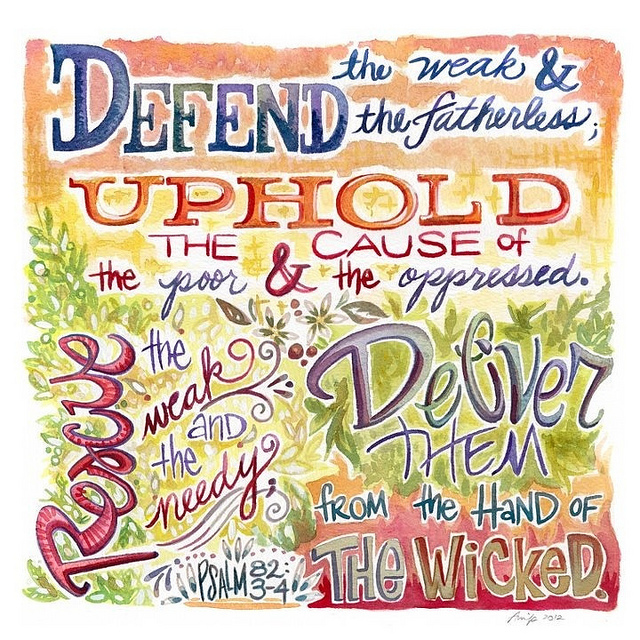 The charge isn't that they are idols but that they failed to perform the duties included in their job description: "Give justice to the weak and fatherless; maintain the right of the afflicted and the destitute. 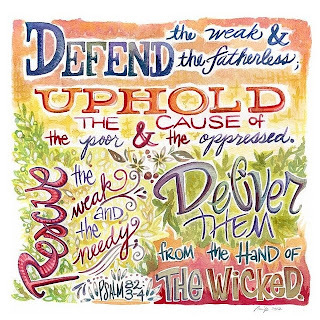 Rescue the weak and the needy; deliver them from the hand of the wicked" (vv. 3-4 ESV). "Like men you shall die, and fall like any prince" (v. 7 ESV). If only it had actually happened like the psalm wants us to imagine. A quick glance at the USA Today or the nightly news, however, leads us to believe that God isn't doing much better at this than the gods he indicted. Even now, thousands of years after this psalm was written, the stories we hear and experiences we have in the world still persist with a haunting sense of devastation, desperation, and despair. "Arise, O God, judge the earth; for you shall inherit all the nations" (v. 8 ESV). Spoken aloud in the company of saints, this psalm "holds the 'already' and the 'not yet' of the LORD's rule in tension" (James L. Mays, Psalms, Interpretation Commentary, 271). 1) It gives me a picture of God putting things right in the end. 2) It gives me a prayer with which to call upon God to act sooner rather than later. The combination of that picture and that prayer give me the faith and strength to make a difference today, until the day when God acts to finally put all things right.